Police are reminding the public about when to call 101 after receiving complaints about the custody of a hamster, the seasoning of a burger and an overly amorous dog. Northumbria Police receive around one million calls to the number every year but roughly 15 per cent of those are about non-police matters. That means more than 400 calls a day from members of the public are referred to the appropriate organisation by police call handlers. A large number of 101 calls relate to matters regarding animal cruelty or animal welfare which is a matter for the RSPCA or local authority. They also include reports of faulty street lamps, fly tipping and dog fouling – all of which are ordinarily matters for other agencies. On other occasions the force has received calls from a man who wanted police to get his pet hamster back from his ex-partner and a woman who rung to complain she had been served a burger with too many spices on it. There have also been reports asking police to come and catch a spider, a woman who claimed she had been overcharged at a supermarket and one person even called to report an overly-friendly dog. 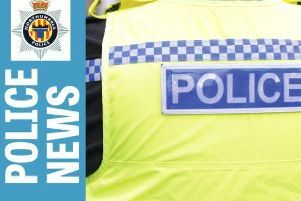 Northumbria Police’s Chief Superintendent Sav Patsalos said the current number of inappropriate calls is down to a lack of information about the service rather than the public. Chief Supt Patsalos, head of the force communication centres, said: “We frequently get 101 calls about non-police issues like fly-tipping or nuisance parking when the local authority is the best place to go. “We also get calls about injured animals where the RSPCA can assist, problems with mobile phones where Ofcom can give advice and what to do about scrap vehicles when the DVLA need to be notified. “These calls to our 101 service mean our call handlers act as a referral service rather than being able to help those in need. “This campaign isn’t about trying to embarrass people as the majority of people will genuinely think that we will be able to help them with whatever situation they find themselves in. “What we are trying to do is educate people about when it is appropriate to call the police and when it is appropriate to contact another organisation. “Our call handlers need to use their time delivering the best possible service and to making sure those who need a police response receive one. “We have worked closely with all of the local authorities and today our website has been updated with a host of information about who to contact in a particular situation as well as a list of frequently asked questions. To find the updated information visit the Northumbria Police website on the ‘contact us’ page and select the icon for topic you want, this will take you to the relevant advice. Information is listed under the six local authority areas, to enable people to access the service which is local to them. The pages contain supporting frequently asked questions and answers, it informs you who can help and provides contact details. We do want to remind people that 999 should always be called in emergencies – if a life is at risk or a crime is happening.